Sometimes you look closely at one of your rooms and realize that even some minor repairs could help it look much better. If you are not ready to handle a big renovation project, it’s fair enough to have a small one. Just remember that there are some simple things that you can do over the weekend. It sounds unreal, but over-the-weekend remodeling is doable. 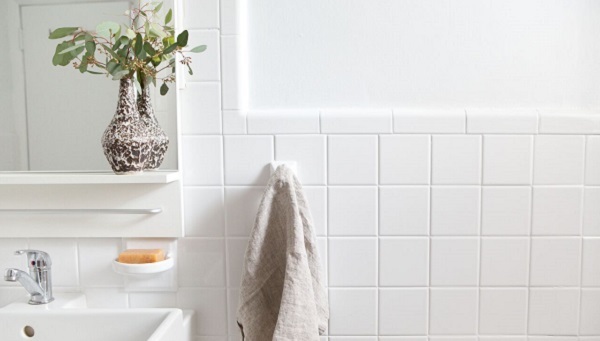 To correctly evaluate the real state of your bathroom you’ll first need to get rid of all unnecessary items. You’ll be surprised at the fact that even a very small room can have lots of unnecessary things. Collect everything that deserves to be thrown away in a separate bag, and get rid of it trying to feel a complete peace of mind. These things take much more space than you may think they do. Everything else can be categorized and put away in closed boxes. You should only leave necessary items visible. No matter how humid it is in your bathroom, all the items standing out on the shelves still get dusty. The more of them you have, the dustier it is. If you don’t have enough time to replace all your current plumbing or simply feel like you don’t need to do it yet, look at your faucet. Most likely, you haven’t checked on its condition for a long time and haven’t noticed that it’s old now. You can clean it professionally making its metal shine again or you can just replace it. A big variety of plain and unique models can be found in specialized stores. If you don’t feel like you can handle it yourself, then leave it for the specialists. They will easily help you get rid of your old faucet replacing it with the new one. Check on your tile condition. Have you ever tried cleaning some stains of unknown origin and finally gave up? If that’s so, it’s now time to contact professionals, who will do it for you using special highly effective cleaning agents. You’ll end up losing much more time than you expect doing it yourself while it only takes professionals about an hour or two. You can order tile cleaning and many other services here at Miami Bathtubs. We’ll discuss some other variants of over-the-weekend remodeling in the second part of our article.